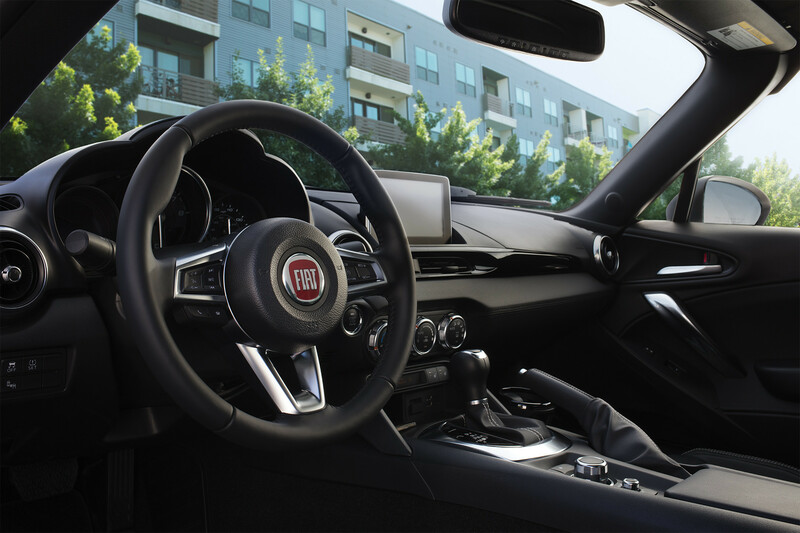 The interior design of the 2019 FIAT® 124 Spider was created to offer an inspired driving experience, top up or down. 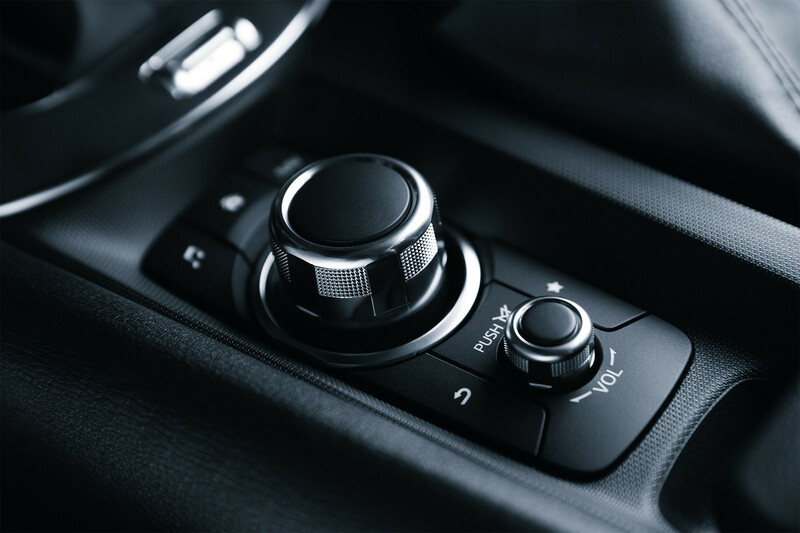 The available BOSE® 9‑speaker Premium Sound System delivers amazing power and fidelity with controls at your fingertips. 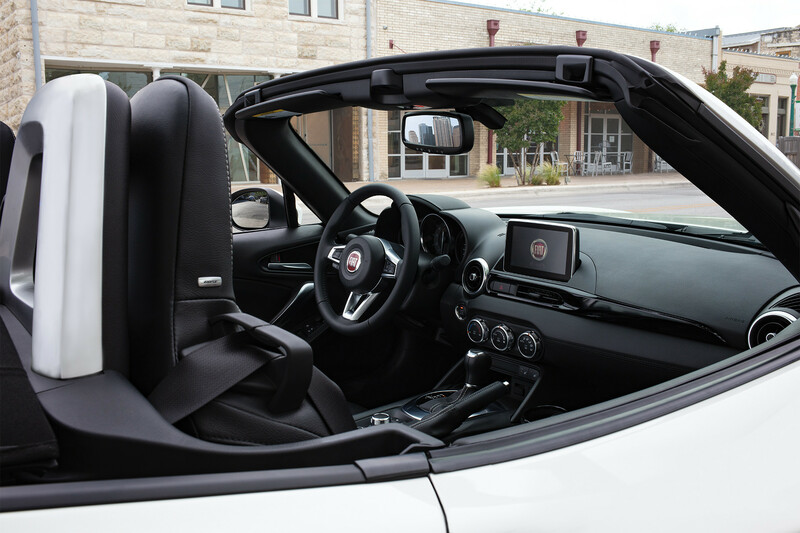 At the push of the button, Sport Mode sharpens the race‑inspired handling and response of the FIAT® 124 Spider Abarth®. 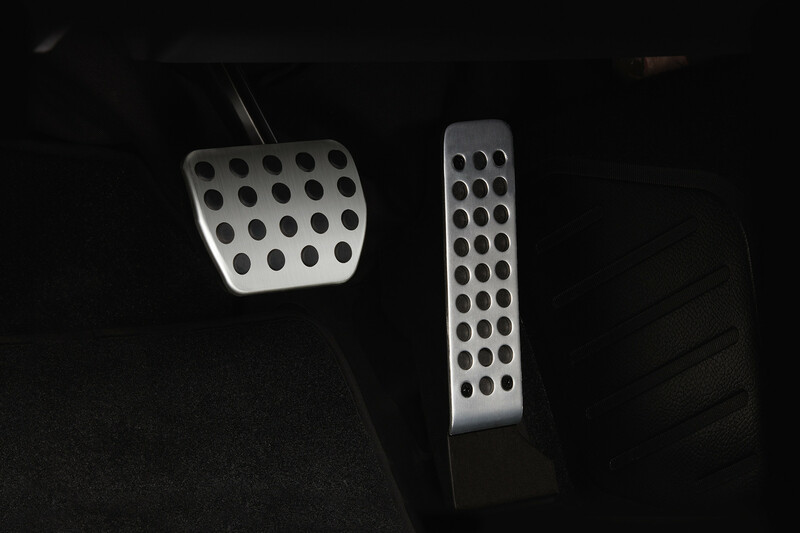 Race-inspired bright aluminum pedal covers are functional and add a distinctive touch to the FIAT® 124 Spider Abarth®. 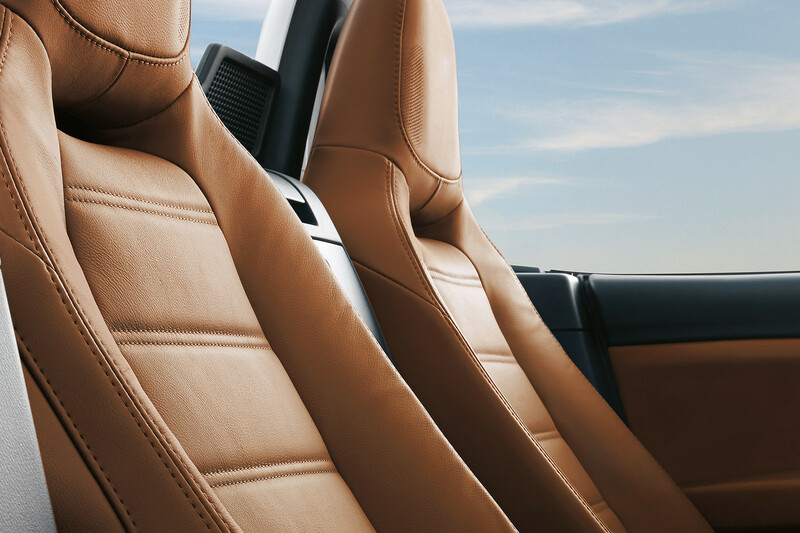 The heated leather‑faced seats, standard on Lusso and Abarth®, are perfected to exceptional standards of craftsmanship and quality. 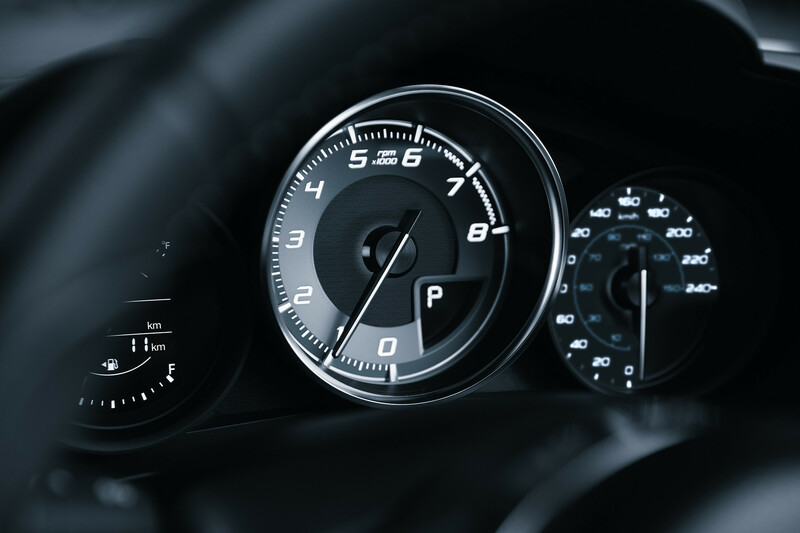 The FIAT® 124 Spider Abarth® features a centre‑position tachometer and a 240‑km/h speedometer. 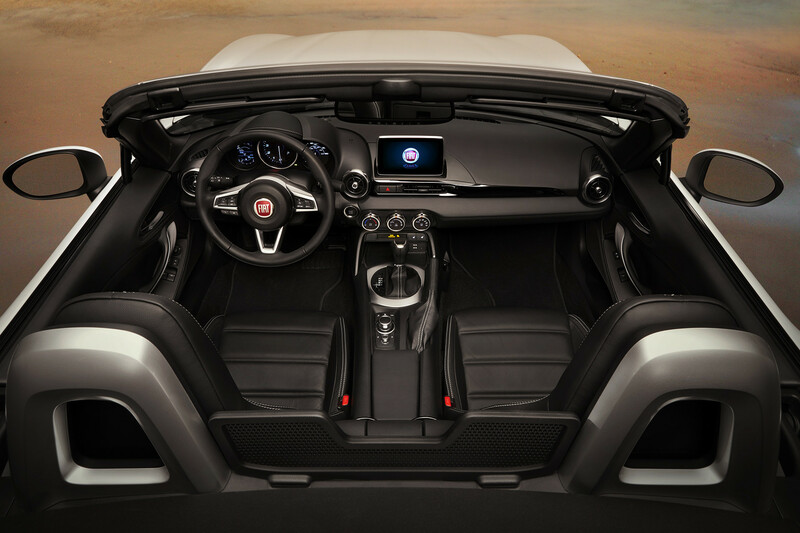 Classic interior styling, sensuous materials and performance‑inspired functionality combine to make every drive special. 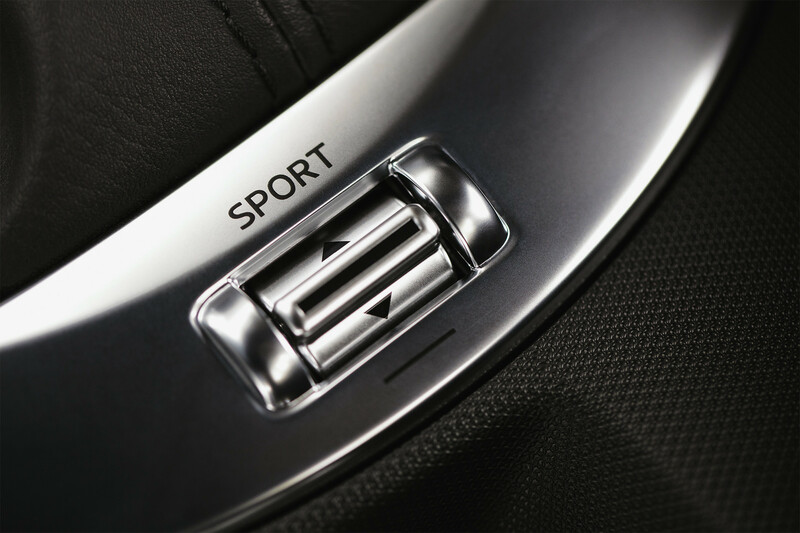 Substantial and sensuous, the standard leather‑wrapped steering wheel includes controls for driving, communication and entertainment.